She trusted her immense intuition and generous heart--and published the most. 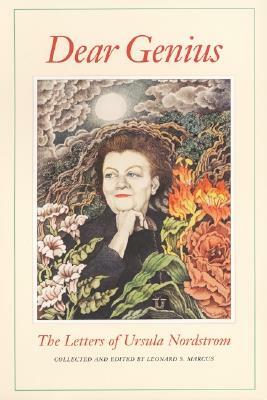 Ursula Nordstrom, director of Harper's Department of Books for Boys and Girls from 1940 to 1973, was arguably the single most creative force for innovation in children's book publishing in the United States during the twentieth century. Considered an editor of maverick temperament and taste, her unorthodox vision helped create such classics as Goodnight Moon, Charlotte's Web, Where the Wild Things Are, Harold and the Purple Crayon, and The Giving Tree. Leonard S. Marcus is a historian, biographer, and critic whose many books include Margaret Wise Brown: Awakened by the Moon; Dear Genius: The Letters of Ursula Nordstrom; and Storied City. In addition, he has been Parenting magazine's children's book reviewer since 1987. This is his first picture book. He lives in Brooklyn, New York, with his wife, Amy Schwartz, and their son, Jacob.